The Remote mount is a two-piece unit connected via a wire. 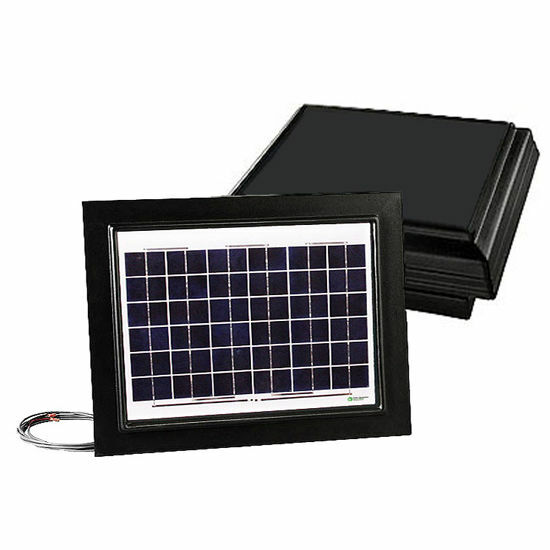 It is designed so that the ventilation fan can be installed in a location that is either less visible, more convenient to reach from the roof-side, or more accessible from the attic, while the flat profile solar panel is mounted where it will receive the best opportunity for direct sunlight. Kit includes 15� of wire, but up to 50� can be added if required. 7/8" high profile - remote panel. 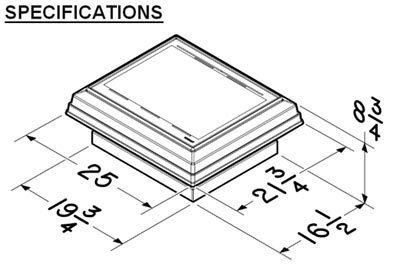 Low profile, square design integrates well with shingles. Hurricane rated to 140 mph winds. 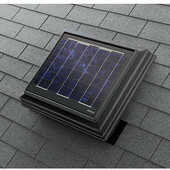 The Solar Dynamics Attic Fans Remote Mount Solar Powered Attic ventilator unit is designed to discharge hot attic air. 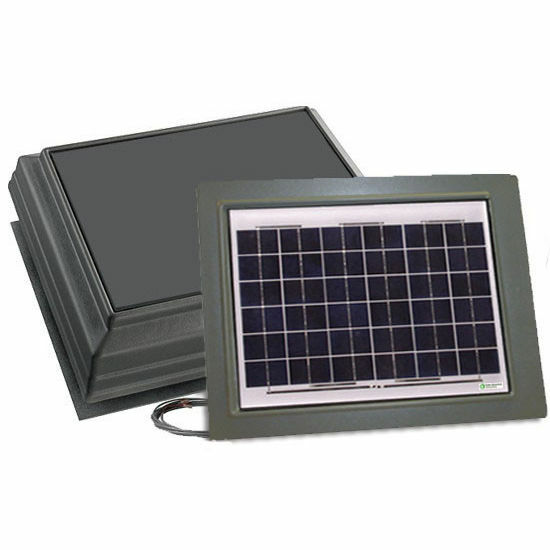 A solar unit offers additional benefits not possible with a powered product. Because a Solar Dynamics Attic Fans Solar PAV turns on at dawn, it goes to work immediately, first to eliminate the moisture that has built up from the cool overnight air, and second, to prevent heat build up before it has a chance to build up to the point of convection. 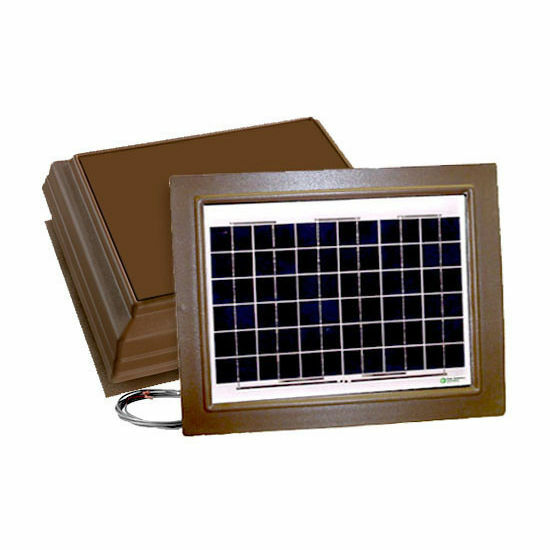 The Remote Mount ventilator is designed so that the ventilation fan can be installed in a location that is either less visible, more convenient to reach from the roof-side, or more accessible from the attic, while the flat profile solar panel is mounted where it will receive the best opportunity for direct sunlight.